Arita ware or Imari ware? Arita ware (porcelain made around the Arita region) is commonly referred to as 'Imari ware' both in Japan and overseas because porcelain products from the region were transported to domestic and overseas markets through the port of Imari, approximately 15km north of Arita. 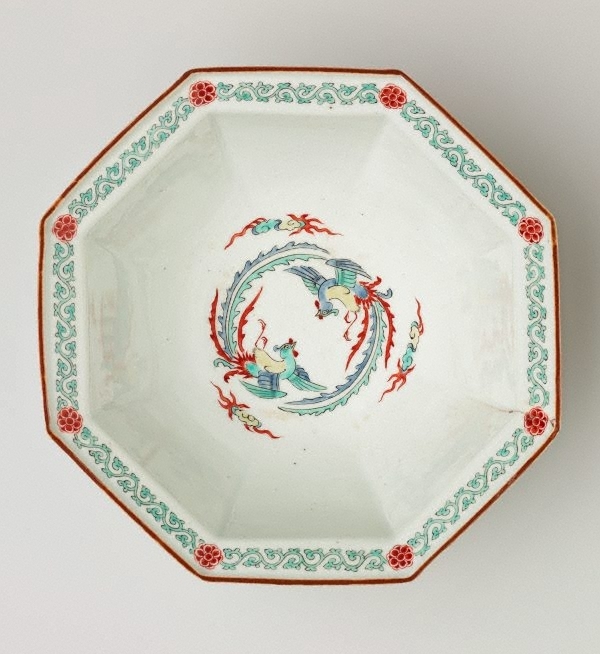 For the sake of consistency, all porcelain works produced during the Edo period in the Art Gallery of New South Wales collection are catalogued according to the production site, e.g. Arita ware and Hasami ware. Imari itself was home to the Nabeshima ware, exclusively produced at the Ôkawachi kilns for official use of the ruling Nabeshima clan. With the establishment of the Meiji government in 1868 the independent fiefs of the Edo period were replaced by prefectures in 1871, and the Ôkawachi kilns entered the free market. The term 'Imari ware' (or Ôkawachi ware) now applies to works produced in Imari from 1871 to the present.